During the Easter weekend we passed the 300,000 page views mark since our first posting back in 14th May 2011. So a big thank you to those that contribute with articles, news, snippets and pictures. Anything to do with public transport is appreciated and will be given consideration and new contributors are welcome, just send material to focustransport2011@gmail.com and we do the rest. 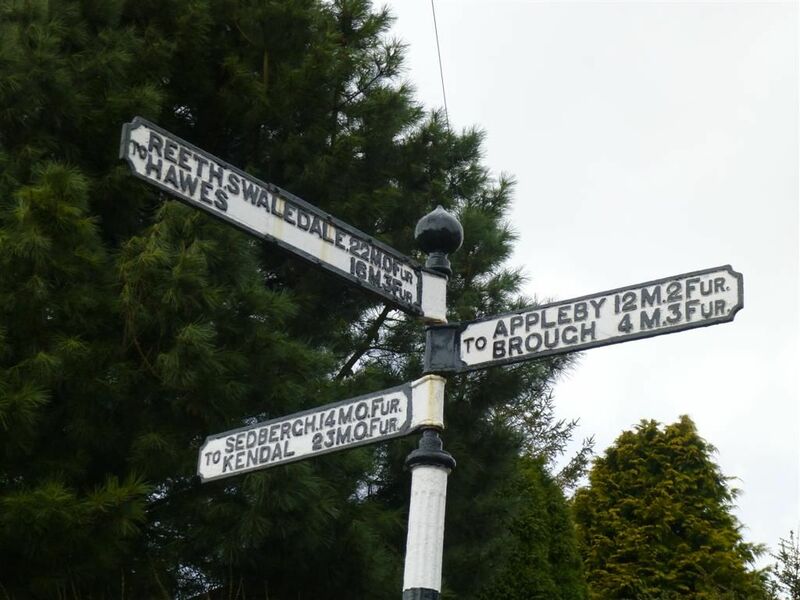 Kirkby Stephen signpost showing miles and furlongs. I took a break from editing the Focus Blog website over the Easter weekend and want to thank Colin Sellers for keeping things moving during my absence. We can pre-load the website with postings but still need someone to release them on the correct day in order to keep up our commitment to daily postings. Colin kept the postings flowing as well as visiting the Kirkby Stephen Easter Rally, some pictures of which are already on the Focusflickr site. We hope to bring you more pictures of this event in due course.